Another console favourite lands on PC. What is it? 2011 console puzzle/life sim game about the price of cheating. What next—Persona 5 on PC? It's hard not to believe that'll happen someday soon, now that you can buy Catherine on Steam. It's been an exciting few years for previously console-only classics coming to PC. Catherine is a real oddity: part anime-style relationship and life simulator, and part pretty good block-climbing puzzle game. What's particularly appealing is its unusual subject matter. You're Vincent, a 30-something guy in a long-term relationship with Katherine, who now wants to settle down, and for Vincent to find a better-paying job. Vincent, though, wakes up in bed next to a girl called Catherine, with no memory of how it happened. After cheating, he begins to experience nightmares where he's in his underpants, climbing towers of collapsing blocks. The other men who fall to their deaths in this hellscape—they too cheated on their partners—are dying in real life. The main part of the game is climbing and pushing blocks in order to ascend these towers, dealing with frequent modifiers like slippy blocks made of ice, or explosive blocks that'll damage the surrounding area. It's about figuring out your next few moves in advance: building a makeshift staircase to reach a few rows above, or pushing a few base blocks into the abyss to make the entire tower drop down by a layer. At the end of a set of levels, a kind of boss creature appears, manifested as one of Vincent's many worries: a giant screaming demonic baby, for example, or a giant evil arse (seriously). It can be incredibly tricky, and it's possible to push enough blocks away to make it impossible to reach the exit at the top. Luckily, there's a rewind function to take back your last few moves, and even on normal mode, checkpoints and retries are reasonably generous. You can rebind all the keys, and while the graphics options screen isn't too comprehensive, you can turn depth of field, bloom, blur and anti-aliasing on and off. In terms of performance, to my eye I noticed a little momentary stuttering in the game on both my work and home PCs (nothing that hampers the game), even though the framerate counter doesn't drop from the 60 mark during these instances. You can choose the original language option if you want to, plus the game supports 4K and unlocked framerates. 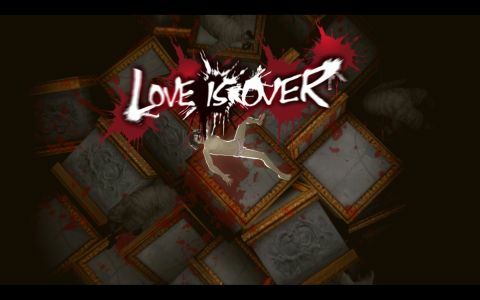 The life sim element of Catherine breaks up the intense tower climbing. Before Vincent sleeps, he hangs out with his friends in a bar, called the Stray Sheep. Here, he can interact with his pals, some of which admonish him for his cheating, as well as the interesting patrons of the bar who all have their own stories. You'll meet people in this bar who'll then appear in your dreams later, in the form of sheep, which is kind of eerie—they've cheated too, and they're now facing the same threat of death that Vincent is. I like Catherine as a puzzle game, but I don't love it. Even with the modifiers and optional items to help Vincent ascend the tower, moving blocks is repetitive, and a couple of the obstacles are really annoying: being knocked off a specific block by a boss's super ability, for example, or encountering enemies who can knock you down, sometimes to your death. If this was a game just about climbing these towers, I probably wouldn't play it. I actually think Catherine is slightly stronger as a life sim, where you can ponder Vincent's situation, and make decisions based on what you think is right or wrong. You get the opportunity to message both Katherine and Catherine on your phone, and whatever you choose to put in the text from a number of predetermined options will push a good/bad karma slider in a different direction. If you want Vincent to pursue Catherine and see where that path leads (it might surprise you), go for it. If you want to be faithful to Katherine and make up for Vincent's mistakes, you can do that too. If you're curious, I asked Sega why they decided to bring this version of the game to PC, and not the 'Full Body' edition coming to PS4 and PS Vita later this year. "We wanted to give the PC audience the opportunity to experience Catherine for the first time as it was originally released, and Catherine Classic is the perfect way to accomplish that goal. We hope to have more exciting news to share from SEGA / ATLUS in regards to publishing on PC in the future." I originally asked Sega about porting over a year ago—seems like it's making great progress. You don't really shape the story—mostly just the ending—but being asked to choose these things by a game is refreshing. The way the game portrays Vincent's situation has some problems, though. By never remembering the times he sleeps with Catherine, he doesn't really take responsibility for what he does in the story, even if he feels some guilt for it. Likewise, Katherine's depiction in the game frames commitment as being this incredibly scary thing that's being inflicted on Vincent, a man who's pathetically helpless to make his own decisions. Catherine, meanwhile, represents the opposite of that—she's interested in Vincent and designed to be the object of his lust. Both women are depicted as controlling figures in his life, and not much more for the majority of the game. While Catherine definitely has interesting things to say about adult relationships and the morality of how you treat the other person (brought to life by excellent voice acting), it also doesn't pass up the opportunity to have an anime lady message you naughty pictures, or for gratuitous camera angles. It can be insightful, but also too heavy on fan service. It's such a strange combination, to have these puzzles and life sim elements awkwardly welded together, but it mostly works. Catherine is one of the most memorable experiences my dusty old PS3 provided, and while my opinion of how it explores its themes changes the older I get, I still find being asked questions like 'who's responsible when someone cheats?' by a game exciting. I wish the same developer's next Persona entry was about the kind of tired, disillusioned adults that populate Catherine's world, rather than stylish teenagers who are skinnier and better-dressed than I will ever be. Catherine Classic is great to have on PC from a preservation standpoint. There's one factor here, though, that arguably doesn't make this release a complete slam dunk. A new edition, subtitled 'Full Body', is being released on PS4 this year, featuring an additional romance option. It'd be nice if Sega released this as DLC for this port down the line, but as it stands, there's the slight sense that waiting another year might've yielded a comprehensive version on PC (see 'why the original?' for some official comment on the subject). For $20/£15, though, the price for this original edition is fantastic. Every year we see more and more old console classics trickle onto PC, and this was high on my wish list. Catherine explores adult subjects in a flawed way, and it's not quite a best-in-class puzzle game, but it's a real conversation starter that I still have a lot of affection for.